Not sure what hair, length and amount of hair you need? Use our hair guide. Contact us today for a free consultation to ensure you choose the correct hair and amount needed. While the different types of hair vary in texture and longevity, all of our hair is cuticle correct and 100% human hair, which means it can be treated just like your own hair. At Creative Hair Extensions Salon, we use only the finest quality Remy hair, Russian virgin hair and Brazilian virgin hair. All of our hair is also double drawn, all hair contains only hairs of the same length, and all the shorter hairs have been removed. If you follow the aftercare advice you can expect your hair to last long. The source of the hair determines the price, we generally would advise you to have a hair type that closely matches your own for a natural result. All hair colours can be mixed and blended to create the perfect colour. Different lengths: 16 -18, 20 and 22 inches, Handmade Hair Extensions for different choice either for thin hair, short hair, long hair, brown hair, blonde hair, black hair, wavy hair, curly hair and more. We offer half head, full head and extra full head of hair extensions, depending on the length and thickness of your own hair. Due to the superior quality of our hair, you can re-use it if you have taken care of it properly, bringing the overall cost down. Double Drawn Russian Virgin hair. 1-year. This is superior quality hair that has not been chemically altered and the roots and tips all run in the same direction. Our Russian hair is also double drawn ensuring thickness from root to tip. Our Russian hair is of exceptional quality and is durable yet fine at the same time. We provide this in natural colours only, hair can also be re-installed many times while still retaining its beautiful feel. will last up to 1 years with correct aftercare. Brazilian Virgin Hair. 12 months. 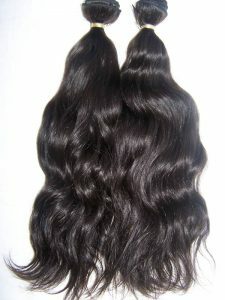 Brazilian virgin hair is one of the most beautiful hair in the world. It is known for its full body, texture and versatility. It is also very soft and smooth to the touch. Brazilian virgin hair is one of the most beautiful types of hair in the world because It is known for its full body, lovely texture and luxury bounce. Brazilian Virgin human hair is extremely strong – it comes naturally Straight, wavy and Curly. It is cuticle correct hair, provided by the donor in its original state. Hair will last 12 months. Remy hair comes in a diverse collection of colours with a natural body structure. It can be styled with straighteners and curling tongs. This type of hair is usually easy to maintain. All our Remy hair extensions are double drawn which means the extensions thick root to tip giving a full finish without looking bulky. It can be reused. Last 3 – 6 month. Call us today to Book a Free Consultation today.